We are so pleased to now be partnering with our local Whole Foods store located in the Summit at Fritz Farm. 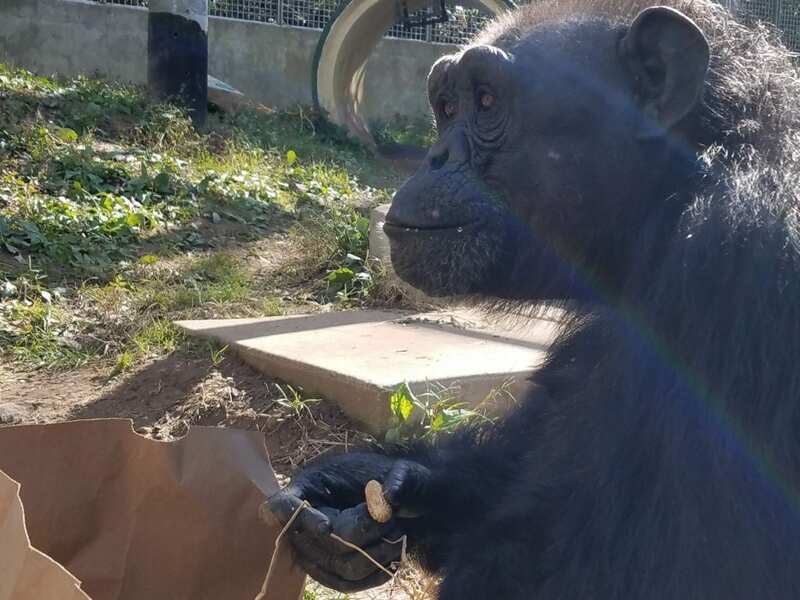 We go through a lot of food each week to feed the 9 chimpanzees and over 40 monkeys at the PRC and we are fortunate that a large percentage of their diet is donated. 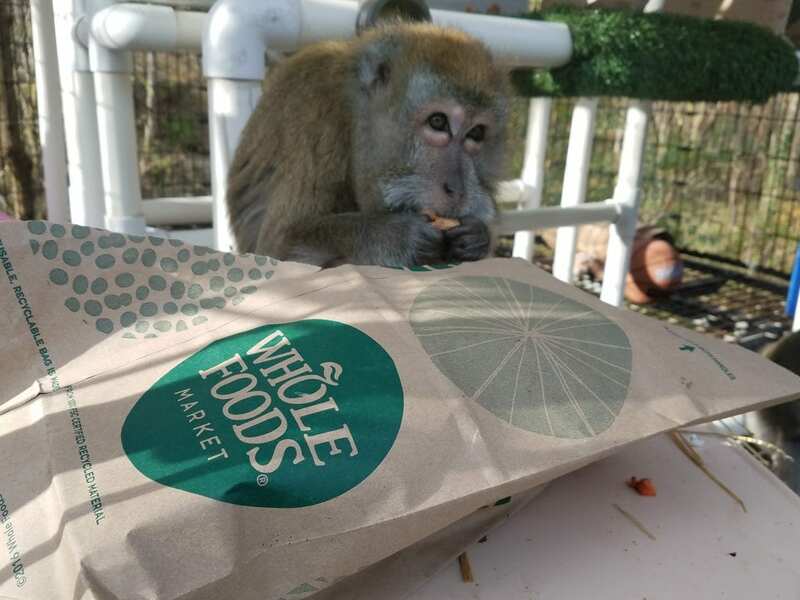 We have been fortunate to have a longtime partnership with local Kroger stores, and we are so excited that Whole Foods is also contributing to the healthy diets of the primates! All of our residents’ diet consists mostly of fresh fruits and vegetables and that would be very hard to maintain without the amazing added variety of produce we receive from Whole Foods! They offer exotic fruits and vegetables that the primates have so enjoyed getting to try. We are so grateful for this blooming relationship and we know the primates are as well! 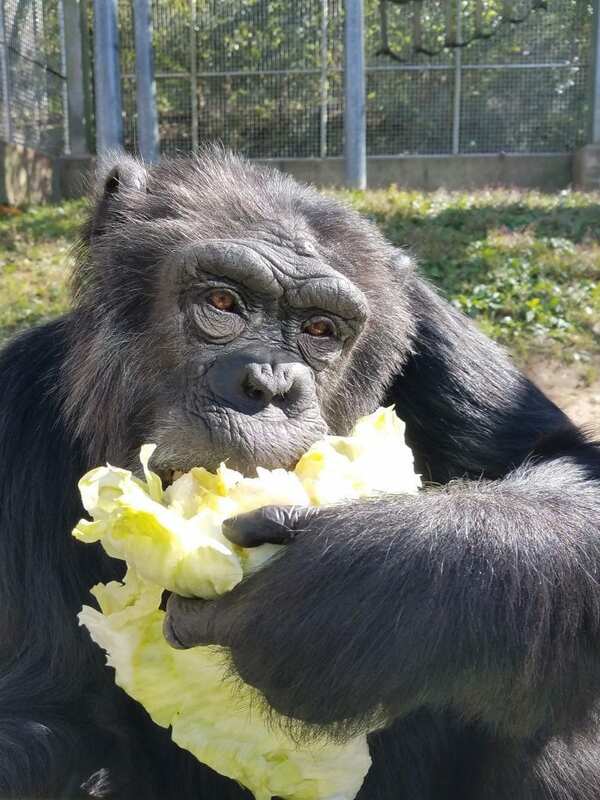 Jenny enjoying a freshly donated wedge of iceberg lettuce. 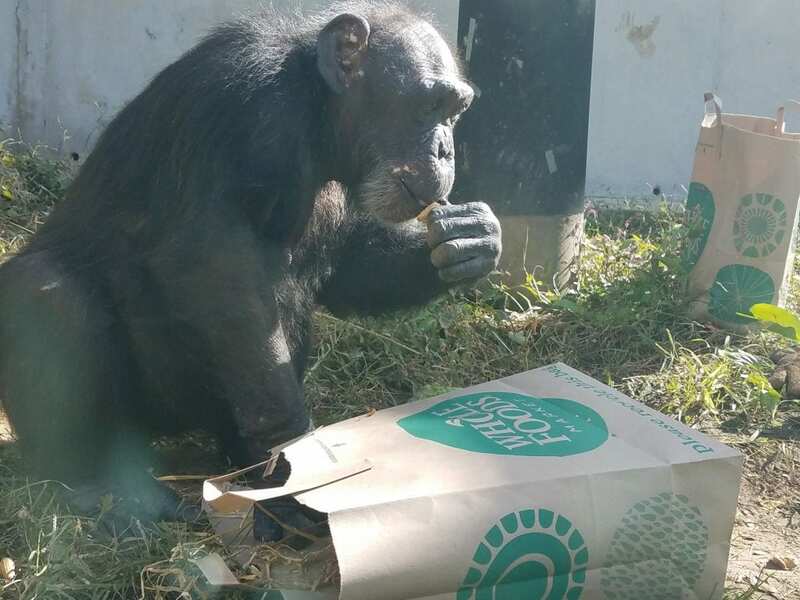 The produce that is donated to us from Whole Foods is usually scatter fed to the chimpanzees – we spread it out over their entire indoor playroom and cover it with a layer of straw so that the troop must forage for their favorites. However, the chimps really enjoy when food is presented in new ways as it adds some excitement to their day! 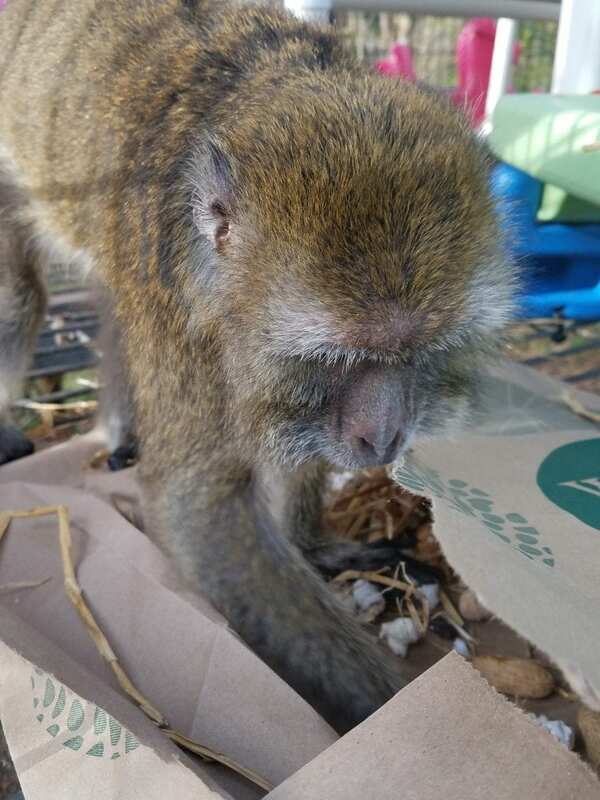 We thought they might enjoy foraging for some of Whole Foods’ donated goods if they were hidden around their outdoor enclosure in paper bags. 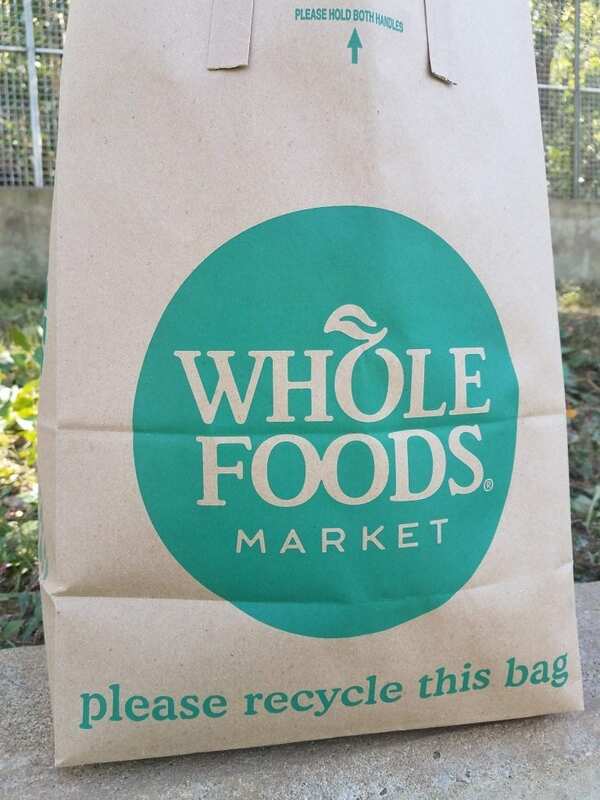 Whole Foods was eager to sponsor the event, so they donated tons of paper bags for us to stuff for the chimpanzees! 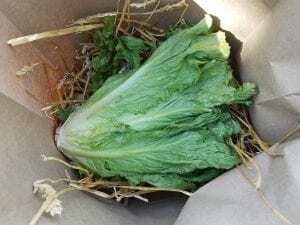 We filled each bag with some of the donated produce and hid the bags around their enclosure. 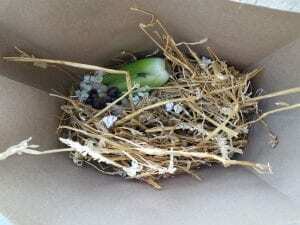 We were eager to watch them enjoy the hidden party bags and we knew that afterwards, they would have nice paper bags to incorporate into their nighttime nests! 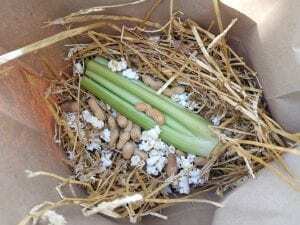 The bags contained popcorn, nuts, celery (an absolute favorite of Victoria), lettuce and more! The chimps ran around and found as many bags as they could before they paused to enjoy their findings. 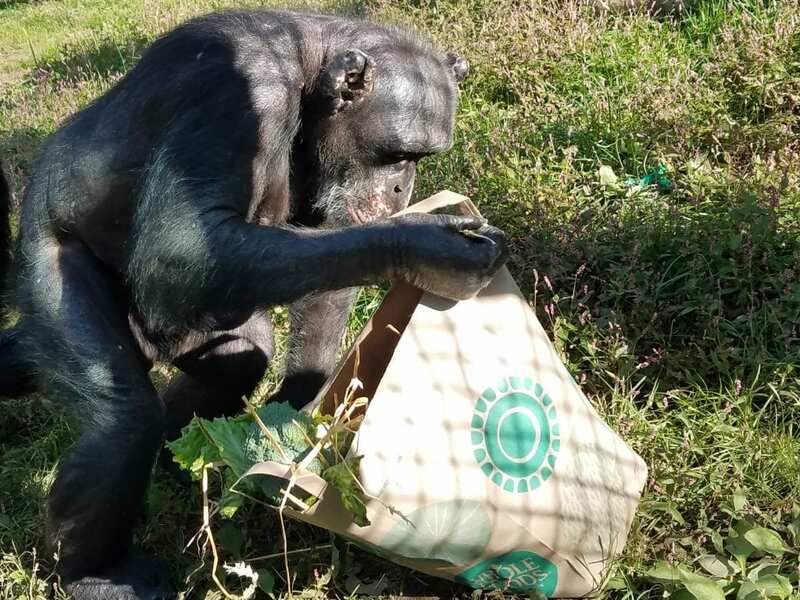 All of the chimps had so much fun searching through the bags for their favorite items — we decided to let the monkeys enjoy them as well! We are so thankful for our partnership with our local Whole Foods store. 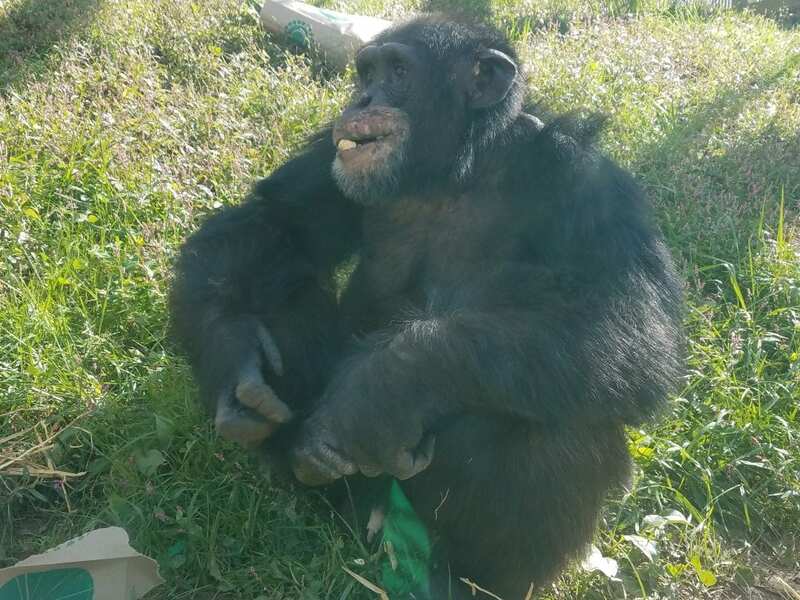 Their generosity is making a difference in the lives of so many deserving primates at the PRC. Whole Foods at the Summit at Fritz Farm in Lexington has also chosen the PRC as the benefitting charity for their Nickels for Non-Profits program for October, November and December! You can read more about the program in this recent blog post. Lots of pant-hoots for Whole Foods!